RFI needed to renew the facilities from which all the high-speed trains on Italian territory are managed. The client entrusted GESAB again and the quality of it designs and finishes to complete the configuration of the new room. RFI and GESAB had already collaborated on previous projects for another two rooms at its head office in Rome and thanks to these good experiences, they committed again to GESAB and its partner Elpack for this new challenge, since the layout of the room was complex and angular due to its location: an old residential palace not set up to house these high technology centers. GESAB’s ability to customize and adapt to any requirement enabled the projects to be customised and to fulfill the client’s requirements. The room has several angles for which it was necessary to design specific moulds that could then be used as a reference to create the “tailor made” consoles. Two emergency collaborative tables were also exclusively designed with a touch screen that will facilitated communication, especially in crisis situations. 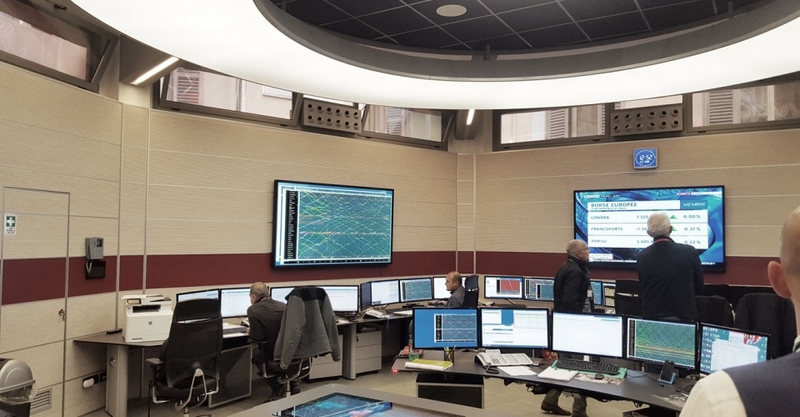 All the furniture was designed and adapted especially for the room, resulting in an aesthetic, personalised control center designed to optimally facilitate the daily job of room operators. GESAB’s ability to adapt to the client’s needs and the dedication of the entire team of architects, engineers and technical office work enabled the client to be offered a result of a maximum quality, complying with its needs and expectations. 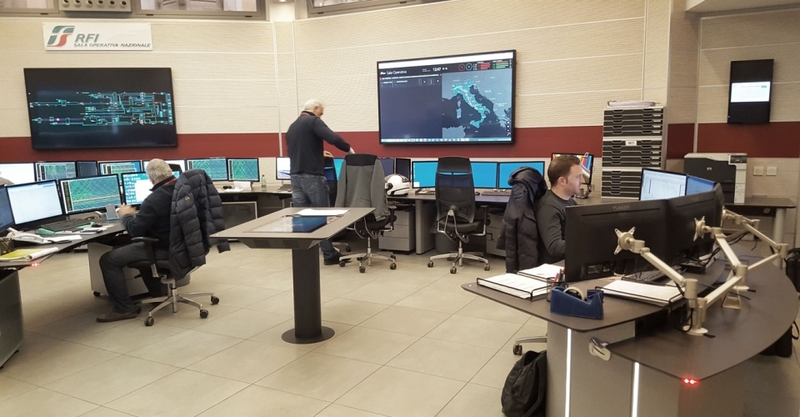 The trust of RFI in GESAB has resulted in three control rooms currently operating with completely personalised technical furniture. Unique, functional projects, guarantee of the future. Sector: Railway infrastructure management and maintenance. 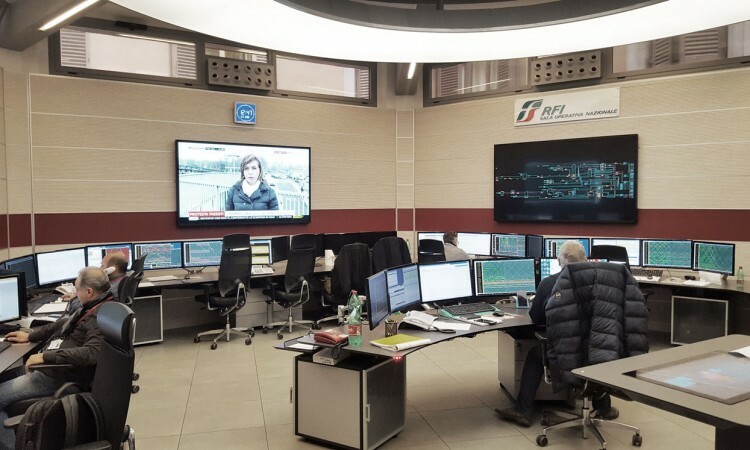 About RFI: Rete Ferroviaria Italiana S.p.A is one of the companies constituting the Group Ferrovie dello Stato (FS). It is a company charged with the management and maintenance of the Italian railway infrastructure. 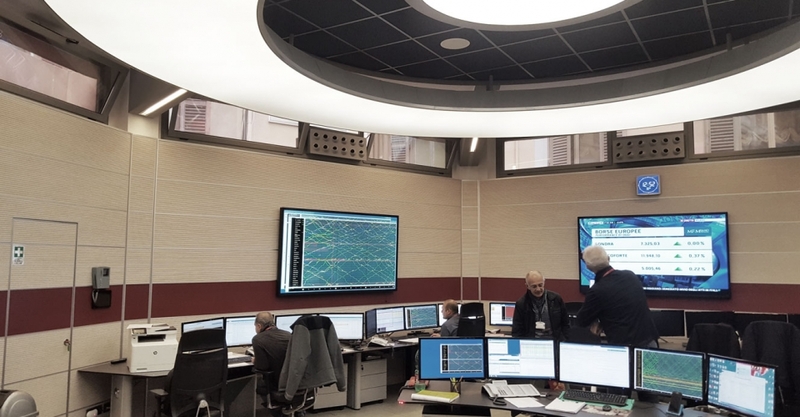 It also manages the railway and regulation security systems, and contracts with the railway companies, and takes care of the commissioning of new high speed lines. Installation of Advantis technical furniture, bucks, 24/7 ergonomic chairs and emergency collaborative tables.